Syndication investments make investing in businesses less risky by allowing multiple lenders to take part in the same loan. The key to successful syndicate investing in New York, NY , is having the appropriate management. That is where Cardinal Equity enters the picture. Our syndication management services make it easy for you to invest in businesses in a way that mitigates your risk without the hassle of trying to self-manage a group of lenders. If you’re interested in syndicate investing, here is what you need to know. 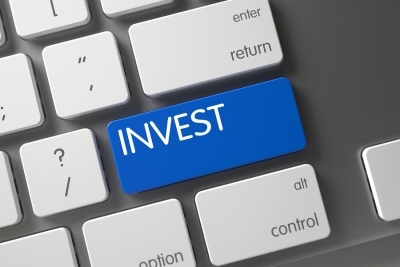 What is the benefit of syndicate investing? Syndication investments are similar to crowdfunding. Multiple business lenders join forces to fund a loan request from a business, which means that each lender mitigates his or her risk. This kind of small business loan investing is essential for both lenders and business owners, who may need working capital but cannot get a traditional loan. Investors can feel more confident in providing money to a small business because they can make a smaller investment and not have to carry all of the risk. Syndication lending often takes the form of merchant cash advances. Merchant cash advance syndication allows lenders to recoup their money directly from the future credit card sales of that business, rather than traditional loan repayments. How can our syndication management services help? Syndication management is key to successful syndicate investing. Without central management, syndicate lenders can’t connect effectively, execute the loan, and collect and distribute payments. At Cardinal Equity, we can provide your lending syndicate with advanced tracking technology, data analytics, reporting services, and collection services. We will represent your syndicate and deal with your loan recipients on your behalf to ensure that payments are being made and distributed between all of the lenders according to the terms of the deal. Our services frees up the members of your syndicate to look for new deals with the confidence that your current loans are being appropriately serviced.